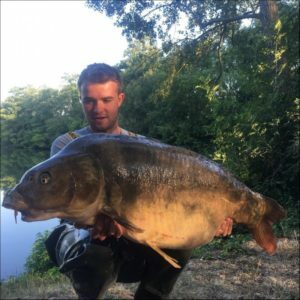 Boux is a lake that has been around since the 1980’s, with an unfaltering reputation for producing big hard fighting carp – the current lake record sits at over 65lb. You hire the venue exclusively for the week for up to 5 anglers. This water contains loads of 40lb+ carp, with a lake record now standing at over 71lb! At 8 acres it comfortably accommodates up to 6 anglers on the choice of 7 carefully maintained swims. There’s also the option of a food package which gets great reviews. 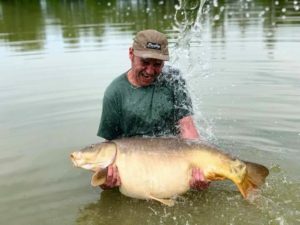 Celebrated French angler Mehdi Daho really has created a carp angler’s paradise here – Laroussi holds more than 50 different forties, over 25 different fifties, 6 different sixties and 3 different seventies. The 15-acre lake is designed for up to 7 anglers (or 8 if booking the lake exclusively). The smaller sister to Laroussi, Old Oaks is arguably the very best small lake exclusive available for those looking for big carp. 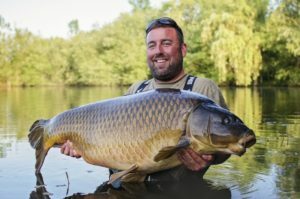 The vast majority of carp residing in this 5-acre lake are 30lb+ with many different 40’s and 50’s including the magnificent long common which is the lake record at 69lb. This 19-acre lake holds many carp between 40-68lb and offers nine swims, including one double, for a maximum of 10 anglers. Swims are booked in advance here and there is also an evening meal package available on site. 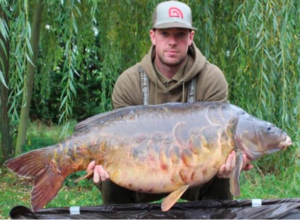 One of our field testers, Matt Linstead, caught 2 x 50lb+ carp within 24hrs, which is testament to the stock residing here. Another lake with a long reputation for providing first class carp fishing holidays, Jonchery is around 30 acres in size and holds carp to over 62lb, including many hand picked for their incredible scale patterns. All six swims here are doubles and you book them in advance. The facilities are very good, there’s a food package available and also a kitchen if you prefer to cater for yourselves. 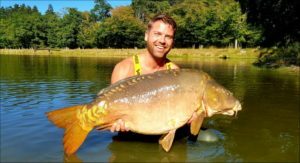 Probably one of the most convenient big carp waters in France, Beaurepaire sits just 2hrs 30 drive from Calais and holds carp to over 61lb. At 7 acres, the lake can take up to 6 anglers (or 8 if booked as a lake exclusive for your group). There are also some big catfish here at well over 80lb. 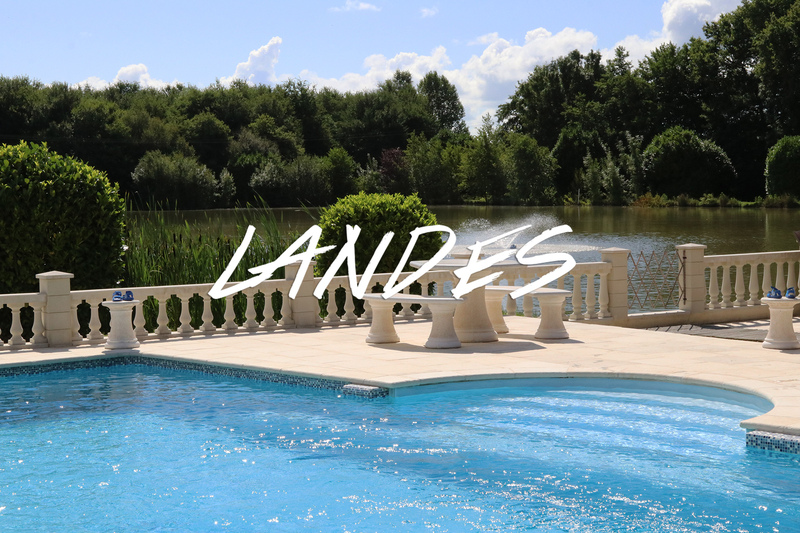 One of the more luxurious holiday venues on this list, Landes holds carp to over 60lb but also provides lakeside accommodation, a swimming pool and a hot tub. You hire the venue exclusively and it is definitely somewhere the family would be happy accompanying you to. Set in the secure private grounds of a historic 18th century chateau, Augustin is simply stunning. This 17 acre lake sits amidst the forested countryside yet has all the modern amenities you’d expect on hand. 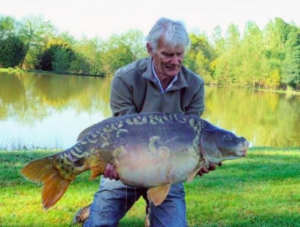 The carp here reach into the mid sixties and with just four swims (two double and two single) it can be booked individually or as a lake exclusive for groups of up to six anglers. Containing large carp, catfish and sturgeon, this venue is not for the faint hearted! Anglers who favour wild and natural lakes will find themselves right at home and you prebook your swims. A maximum of 17 anglers can fish on 15 swims (including two doubles).